Last known price is 188% above the initial Lego retail price! The Series 16 (71013) Lego set is no longer directly available from the sites below. However, 3rd party partners of these sites might still have the set available. 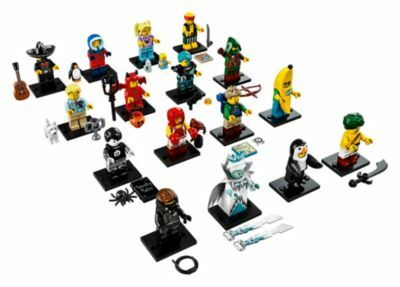 Alternate description Enjoy brand new LEGO® adventures with the Minifigures Series 16 collection, featuring 16 all-new characters with accessories. Be surprised… there’s a story in every bag!